It's named after a Nordic god and drills deep into the heart of a volcano: "Thor" is a rig that symbolises Iceland's leading-edge efforts to produce powerful clean energy. If successful, the experimental project could produce up to 10 times more energy than an existing conventional gas or oil well, by generating electricity from the heat stored inside the earth: in this case, volcanic areas. Launched in August last year, the drilling was completed on January 25, reaching a record-breaking depth of 4,659 metres (nearly 3 miles). At this depth, engineers hope to access hot liquids under extreme pressure and at temperatures of 427 degrees C (800 F), creating steam that turns a turbine to generate clean electricity. Iceland's decision to harness the heat inside the earth in a process known as geothermal energy dates back to the 1970s and the oil crisis. But the new geothermal well is expected to generate far more energy, as the extreme heat and pressure at that depth makes the water take the form of a "supercritical" fluid, which is neither gas nor liquid. "We expect to get five to 10 times more power from the well than a conventional well today," said Albert Albertsson, an engineer at the Icelandic energy company HS Orka, involved in the drilling project. To supply electricity and hot water to a city like Reykjavik with 212,000 inhabitants, "we would need 30-35 conventional high temperature wells" compared to only three or five supercritical wells, says Albertsson. The cost would be much less. Scientists and the team working on the "Thor" drill project have two years to determine its success and the economic feasibility of the experiment, which is called the Iceland Deep Drilling Project (IDDP). Situated not far from the Blue Lagoon, whose steaming blue waters attracted more than one million tourists last year, the IDDP overlooks craters formed by the last volcanic eruption 700 years ago that covered this part of the Reykjanes peninsula with a sea of lava. The peninsula's moon-like landscape also attracted NASA training missions in 1965 and 1967, aiming to prepare astronauts for unknown landscapes they might encounter on the moon. A Nordic island nation, rich in geysers with fountainlike jets of water and steam, hot springs and breathtaking volcanoes, Iceland is currently the only country in the world with 100 percent renewable electricity. Geothermal accounts for 25 percent, while the rest comes from hydroelectric dams. But is Iceland a model for clean energy? The answer is complex, according to Martin Norman, a Norwegian sustainable finance specialist at Greenpeace. Although geothermal energy is still preferable to gas, coal and oil, it's not "completely renewable and without problems," he said. "As soon as you start drilling you have issues to it, such as sulphur pollution and CO2 emission and they need to find solutions to deal with it," he added. Albertsson agreed but said geothermal emissions were only "a fraction" compared to those produced by oil and natural gas. He added that recycling methods are progressing rapidly. Iceland prides itself on being at the forefront of renewable energy, yet "it is far from meeting the international objectives in terms of reducing greenhouse gas emissions," Norman said. The Institute of Economic Studies at the University of Iceland said in a February report that the country will not be able to abide by the COP21 climate change agreement signed in Paris in 2015. Greenhouse gas emissions are rising in all sectors of the economy, except in fisheries and agriculture, it said. And they are predicted to rise by between 53 and 99 percent by 2030 from 1999 levels, a far cry from the island nation's COP21 summit pledge to slash carbon pollution by 40 percent compared to the same benchmark. Iceland's heavy and energy-intensive -- aluminium, silicon -- industries and booming tourism are some of the causes. The land of ice and fire, with a population of 338,000, expects to welcome more than two million foreign visitors this year. 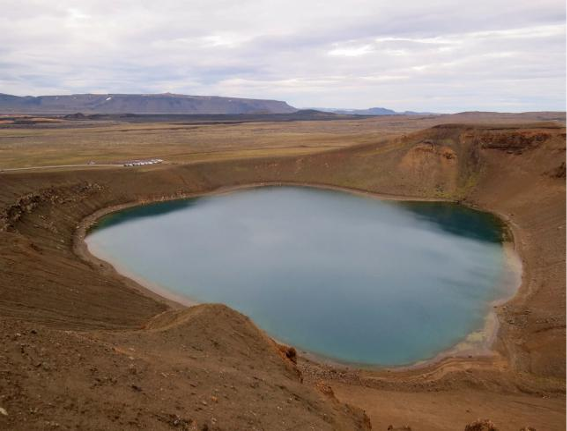 With the frequent landing of charter planes, coaches weaving through the interior of the country, quads and powerful 4x4 driving over the black lava landscape and hotels sprouting up in the capital, the growing volume of holidaymakers is taking a toll on Iceland's environment. Norman, of Greenpeace, fears the capital will turn into "a Costa del Reykjavik" due to the lure of the profits to be made and result in Icelanders giving up the country's unique nature. In an interview with AFP, Icelandic Environment Minister Bjort Olafsdottir said she hopes her nation will find the political will to reach its COP21 goals. "If we do nothing, if we don't take strong actions, we won't reach the Paris agreement goals. But that's not the plan," she said. The current government has doubled taxes on CO2 emissions and financial incentives for polluting industries have been removed, she argued. "It is the first step, probably it is not enough. We have to do it with the help of the industry," she said. Iceland's long-term goal is to reduce the country's dependence on hydrocarbons by having all cars run on electric power.